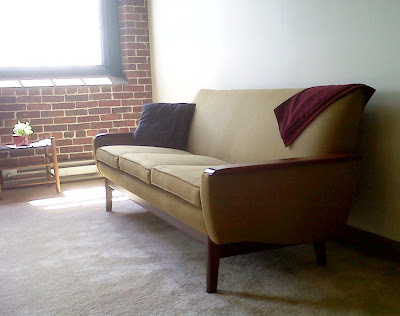 Apartment 528: My old couch gets new life! 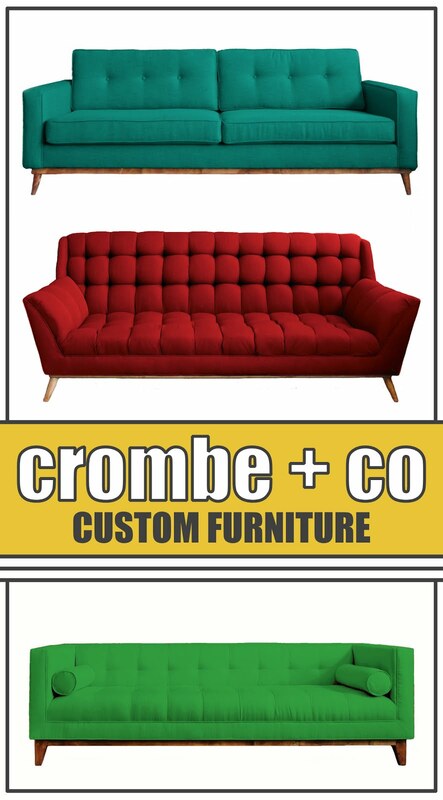 My old couch gets new life! 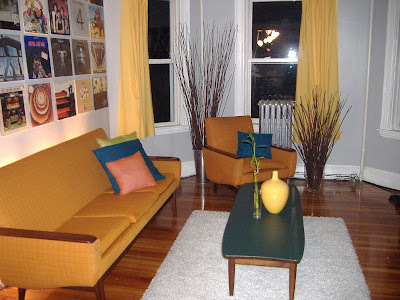 Remember my gorgeous '60s couch and chair set? I bought them off craigslist 3 years ago. I fell in love with the gentle swoops and beautiful angles. They're classic pieces in an awesome orange color. How could I resist? Unfortunately, our move to Chicago this summer meant that I couldn't bring the sofa with me (I kept the chair and now have it in my office). Not only was it too big to fit in the Uhaul, but the fabric was worn from 50 years of being sat on. 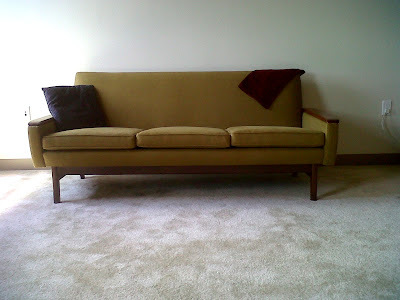 I knew it would be quite awhile before I had the money to have it reupholstered, so I did the unthinkable and sold the couch on craigslist to the first person who could pick it up before we moved. Thankfully, an awesome gentleman bought it and took it immediately from my house to his upholsterer. I knew right off the bat that it was in good hands! 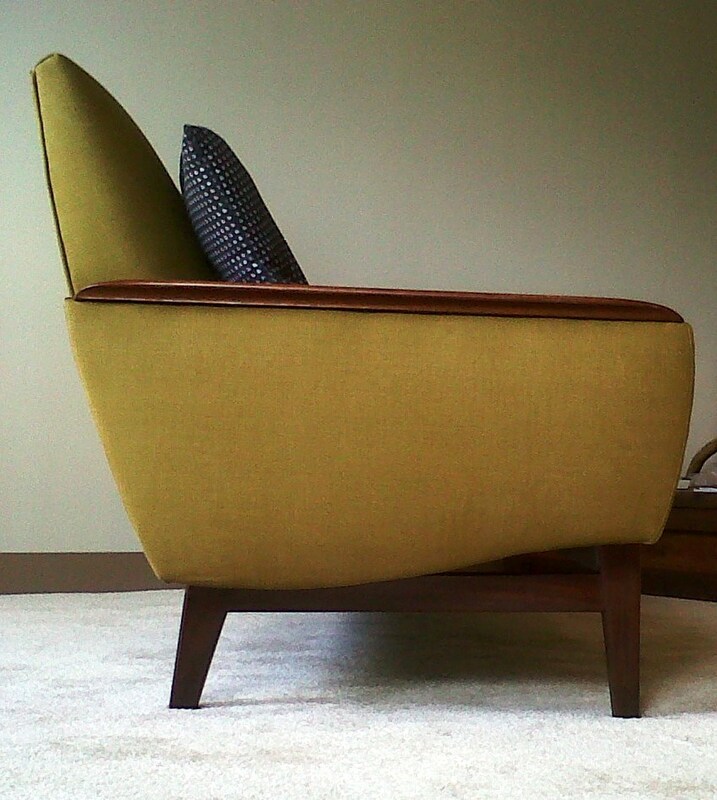 Even better, he sent me pics of the newly redone piece, now a soft pea soup. What do you think?